I must admit never having visited the Wine Market Bistro, the precursor to Ludlow Market Bar & Bottle Shop in Locust Point. No particular reason, we just don't venture down to South Baltimore very often. 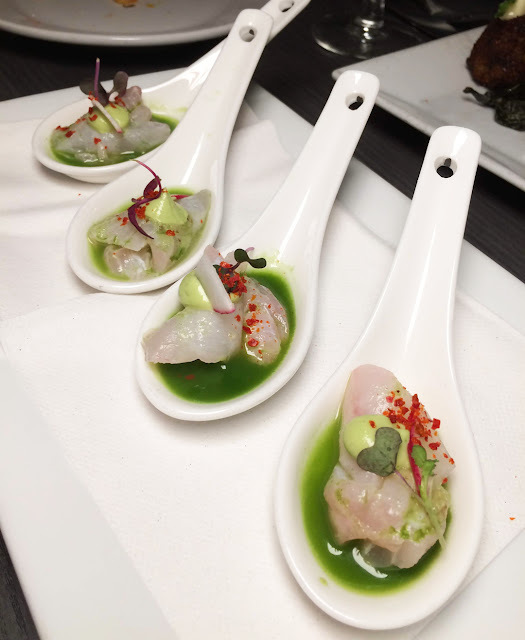 Not long after the opening of the place, we were invited in to taste some of the small-plates style items that are ideal pairings for drinks at the bar or as a starter for a multi-course meal. We had to try some drinks, too. My taste in cocktails leans toward bold, unusual, and perfume-y, so I was happy with Ludlow's complex creations. The slushie Crush a Lot was far better than any of the typical insipid vodka-based "crush"-style drinks I've had. I normally avoid them entirely, but the promise of an icy drink comprising strong black tea and bourbon was hard to resist. It was strong and juice-forward, but also bourbon. The Deluxe House was also quite nice. 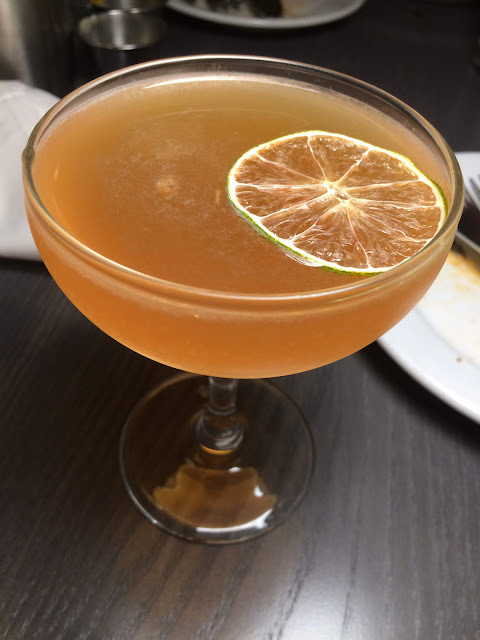 Mezcal drinks can sometimes be too smoky, but the agave liquor was tempered nicely by the addition of Spanish vermouth, dry curacao, and Baltimore Whiskey Company's fab 1904 Ginger Apple liqueur. Chef Christopher Audia's creative menu borrows from various world cuisines. 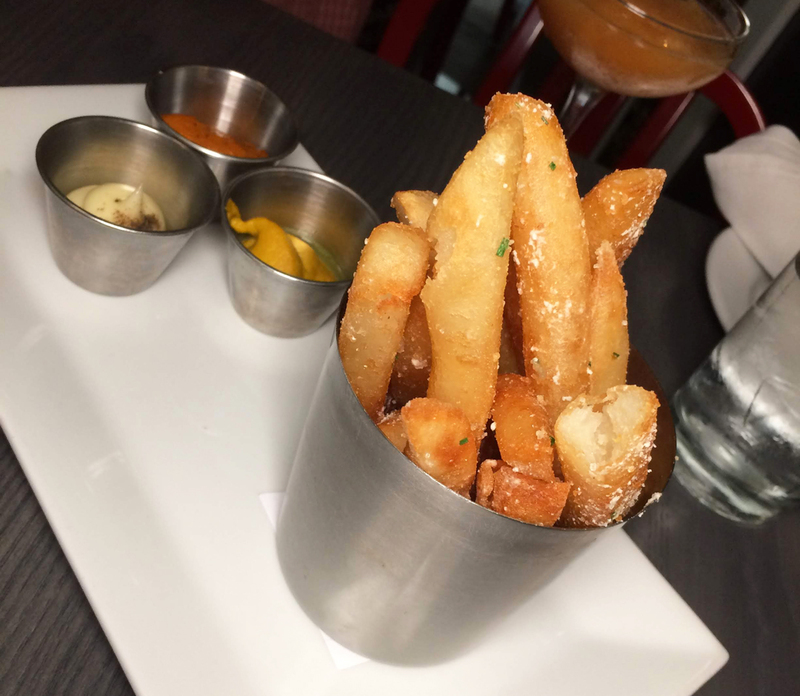 The Beef fat fries are a riff on British chef Heston Blumenthal's famous triple-cooked chips. They're super crisp on the outside and very tender on the inside, like no fries you've ever tasted, and they come with a trio of dips including mustard greens mustard, curry ketchup, and a malt vinegar aioli. Greens are a recurring theme on Audia's menu. 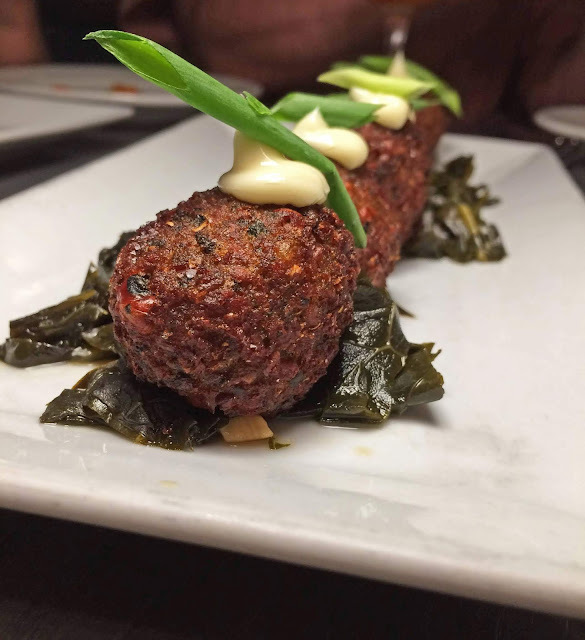 The black eyed pea fritters are served on a nest of positively addictive marinated collard greens and topped with a dab of smoked mayo. The fritters themselves remind me of falafel and the whole plate would be pretty great stuffed into a pita. 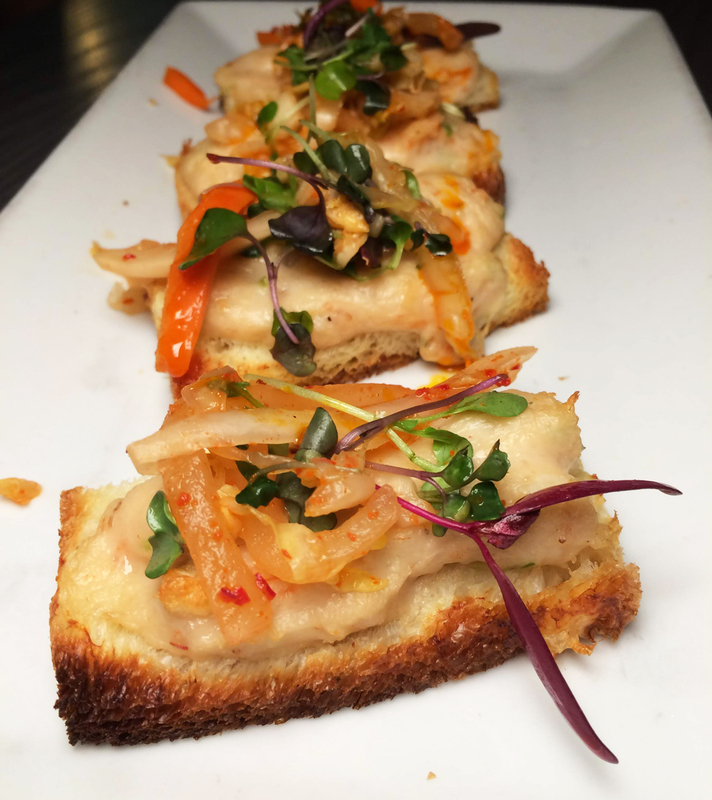 The shrimp toast topped with radish salad and chili oil is a nod to everyone's favorite puu puu platter staple, only with much more flavor and no grease. I only got a piece of this (though I bogarted the fritters) and wished I could have savored more. 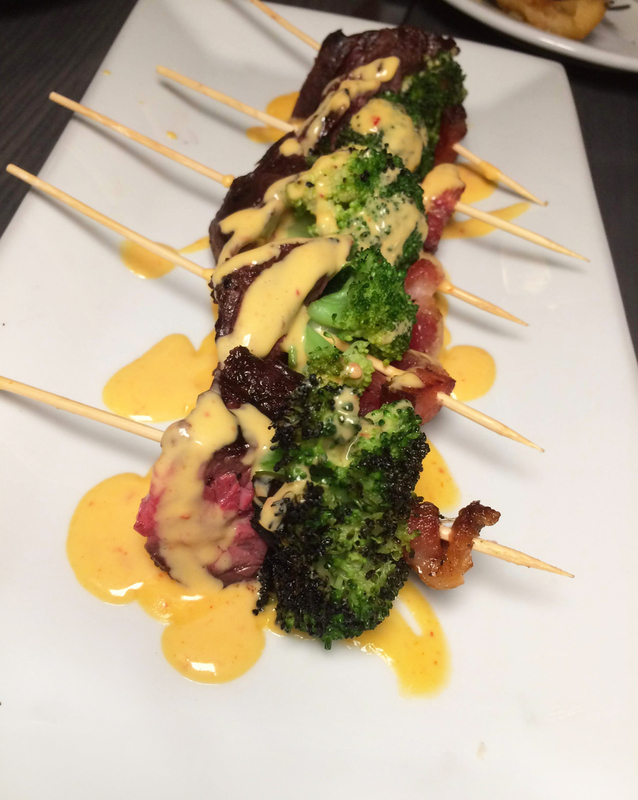 ...and the hangar steak with grilled broccoli, bacon lardons, and a mimolette cheese sauce. It's shown portioned for sampling but comes as a main dish. 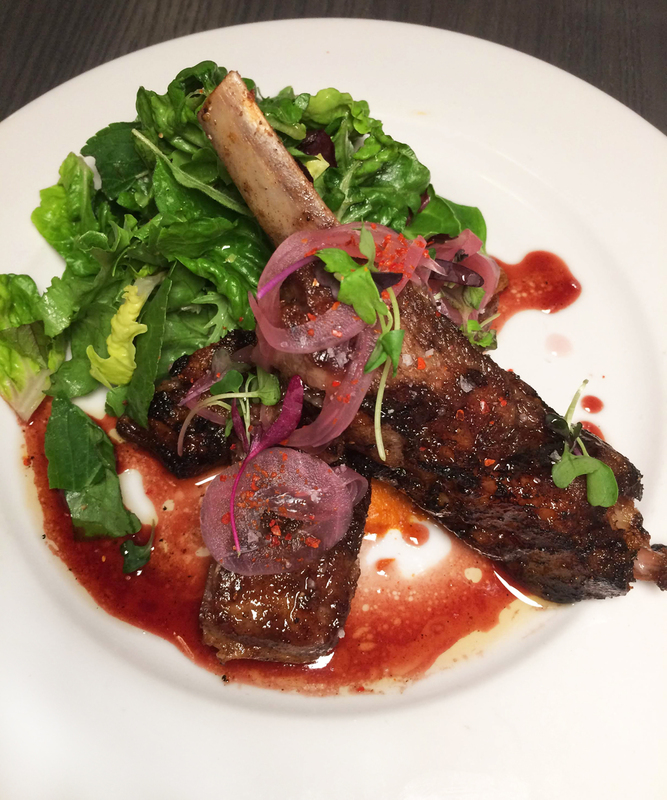 What I really wanted to try, after seeing photos on Instagram, were the lamb ribs. They were fall-off-the-bone tender and came with a chunky hazelnut harissa, not too spicy but full of flavor, and the spark of pickled red onion. Another dish I had to share but really didn't want to. Ludlow Market is strong on both the food and the drink sides of things, which I hope will make it a very popular dining destination. Mr Minx and I might even venture down into Locust Point more often.